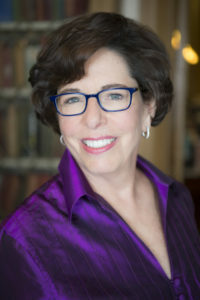 Nancy Moses is an award-winning author whose books and articles explore the stories behind iconic cultural treasures and the provocative issues they raise. Her books include Lost in the Museum: Buried Treasures and the Stories They Tell (AltaMira Press, 2008) and Stolen, Smuggled Sold: On the Hunt for Cultural Treasures (Rowman and Littlefield, 2015). She created the Philadelphia Business Journal’s “Power Lunch” column and a television series about game-changing Philadelphia area women. Chair of the Pennsylvania Historical and Museum Commission, appointed by Governor Wolf, Moses formerly served as executive director of the Atwater Kent, Philadelphia History Museum, Moses’ career features senior positions at the National Endowment for the Humanities, University of Pennsylvania’s Fel’s School of Government, and WQED-Pittsburgh Public Broadcasting. She has produced theatre, civic celebrations, radio shows, and social marketing campaigns. Nancy’s consulting firm, Nancy Moses Planning+Development, produces strategic, fund-raising, marketing, and feasibility studies that help nonprofits and government optimize chances for success. The analytic skills and strategic acumen she brings to clients is a result of her deep experience in the nonprofit sector, as executive director, board member, funder, author, teacher, and consultant. A native of Pittsburgh, PA, Moses lives in Philadelphia where she is active in many civic initiatives.